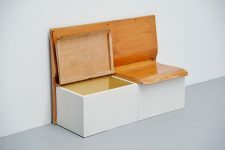 Fantastic rare laundry bench designed by Piet Zwart for Bruynzeel, Holland 1950. 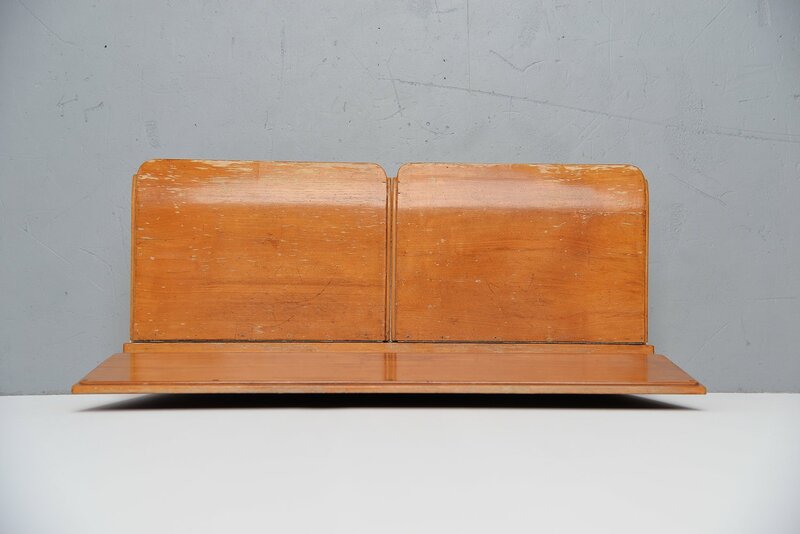 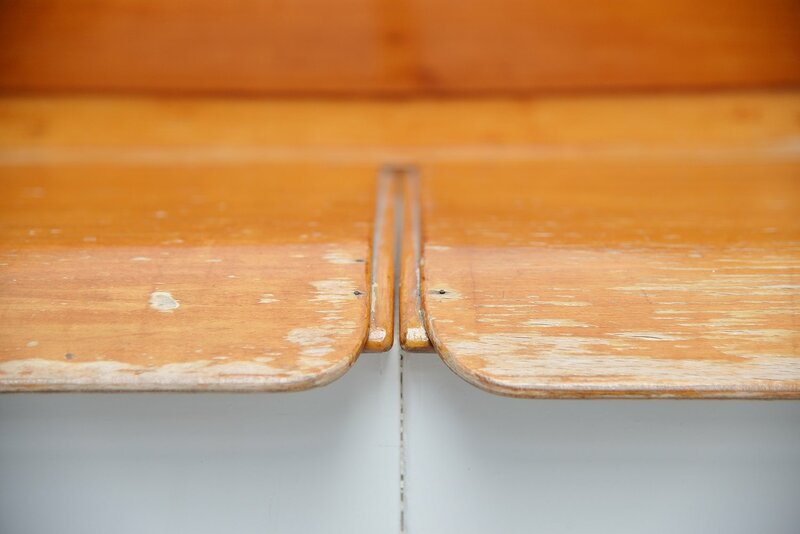 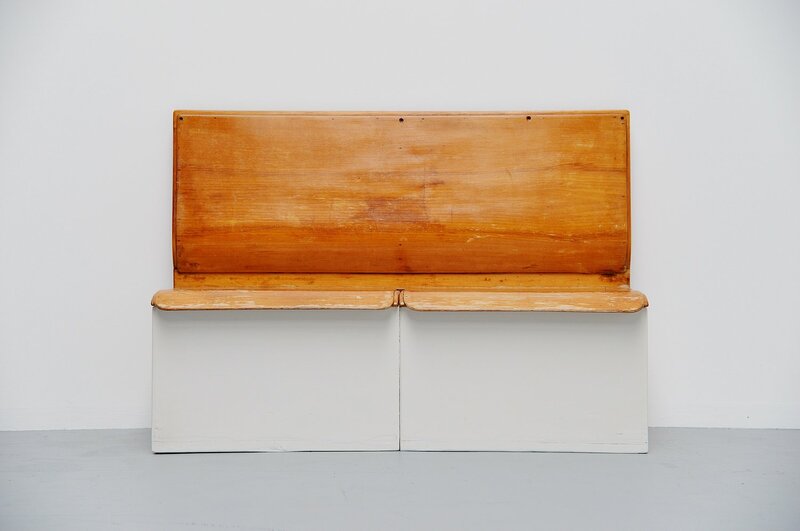 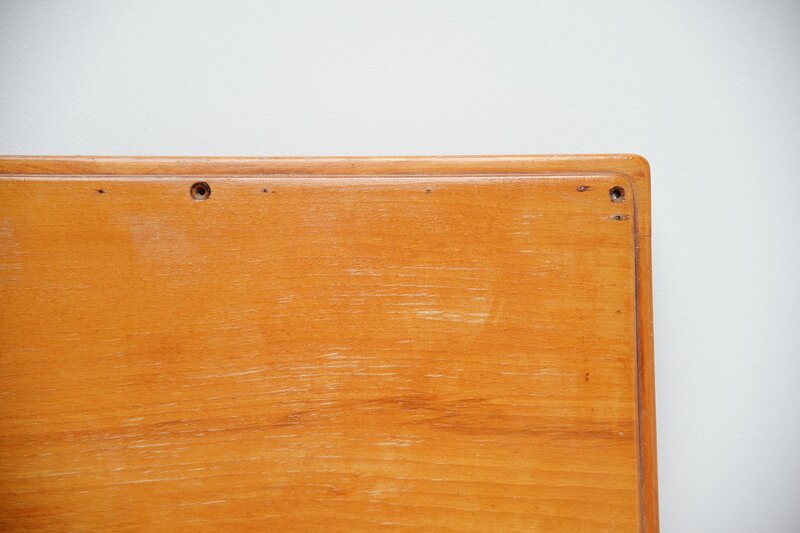 This bench was probably part from a kitchen/laundry unit designed by Piet Zwart in the 1950s. The bench has 2 folding seats where you could put laundry in. 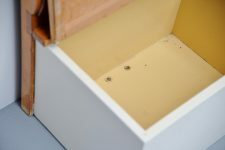 The inside has a green/yellow color and the outside was old repainted in white. 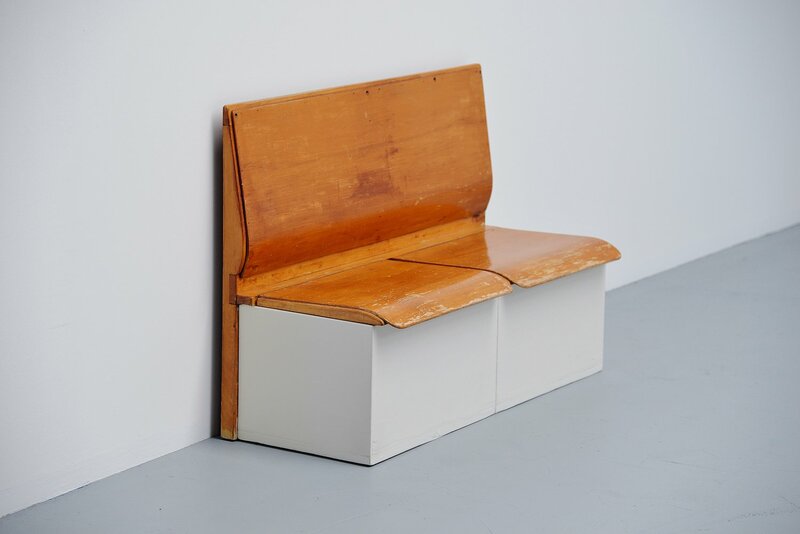 The plywood seats and back are very nicely made. 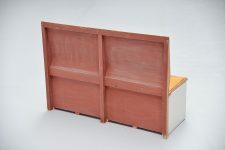 It can be attached to the wall but it is no problem to use it as a freestanding bench. 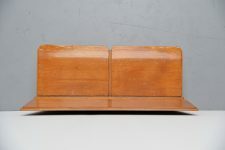 Very nice piece of Dutch industrial furniture.